Integration is a priority for the Committee of the Regions. The #Regions4Integration Blog aims at telling successful initiatives by politicians across EU. How are integration policies enacted to include new citizens? Is it through sport? Work placements? Language training? ✅ Share your integration story with us using #Regions4Integration ! Your comment was sent for approval. The European Committee of the Regions together with AER, CEMR, CPMR and Eurocities threw their support behind the regions and municipalities that are welcoming and integrating new arrivals to their communities. 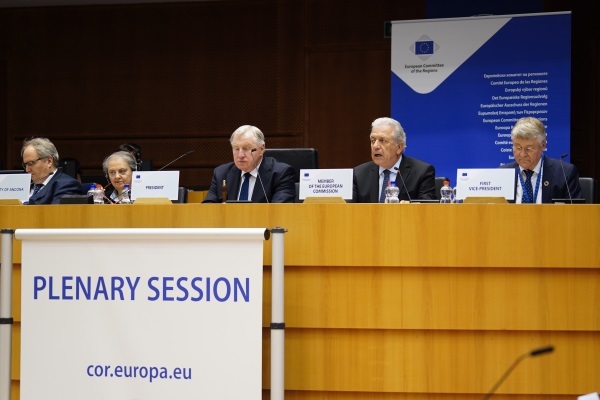 The initiative was supported by Dimitris Avramopoulos, the European Commissioner for Migration, Home Affairs and Citizenship.